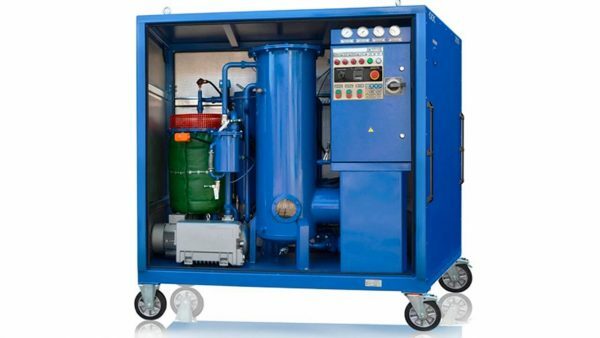 TURBINE OIL FILTRATION - GlobeCore. Oil Purification Systems. Oil ages differently depending on the type of oil, configuration of the system the oil is used in, its temperature etc. Contamination, however, is a significant factor which accelerates oil aging. Mechanical parts, wheels, gears and hydraulic cylinders wear with time, forming solid particles. The abrasive particles increase the wear of mechanical parts drastically. Turbine oil filtration increases its service life and improves reliability of turbine operation. New times mean new challenges. Environmental issues, depletion of mineral resources and political turmoil in oil exporting regions compel customers to seek alternatives, to diversify oil supplies and to reuse available resources. Turbine and engine operators benefit significantly from treatment, filtration and restoration of industrial oil. Service life of equipment is directly related to the life of its lubrication system and the level of turbine oil contamination. Improving the oil’s purity class by one doubles or even triples equipment wear resistance. The turbine oil used in power generation facilities is a type of industrial oil. The oil lubricates and cools the internal components of turbines. Turbine oil is used in steam, gas and hydro turbines, as well as turbo compressors etc. 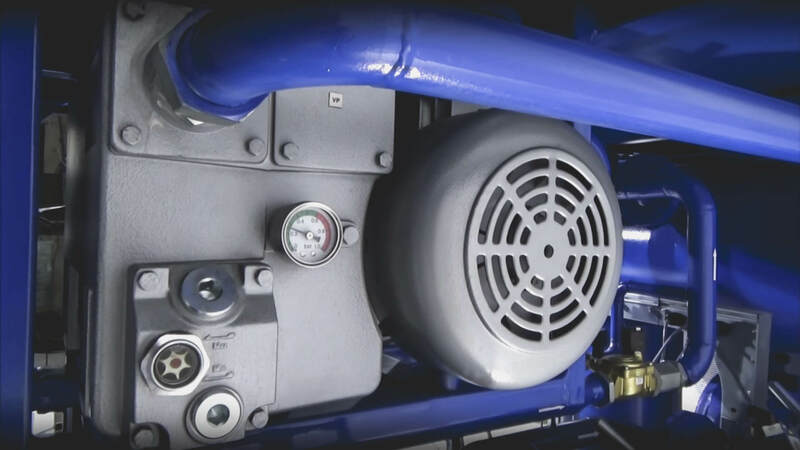 The oil is also a coolant in turbine controls and warrants the best performance of not only the turbine, but also other industrial equipment. Sediment content below 0.15 % of volume. If oil samples show that the oil is out of specifications, the oil must be changed. If the oil can no longer be used, the economic viability of changing the oil or recycling it is assessed. If oil samples show that the oil is out of specifications, the oil must be changed with new. If the oil can no longer be used, the economic viability of changing the oil or recycling it is assessed. Bearings (premature wear and destruction). High friction and wear of moving surfaces. 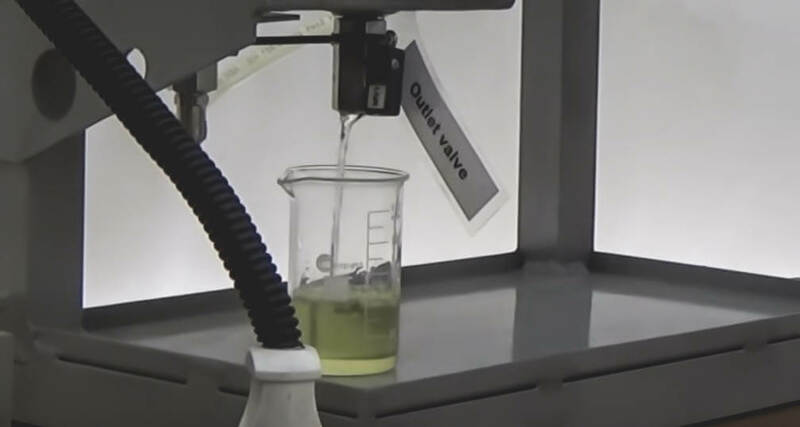 When oil becomes saturated with oxidation products, they deposit on the surfaces of the equipment. With time, the deposits form a varnish-like layer, replacing the thin layer of lubricant. The need to change the oil frequently due to performance degradation significantly increases the costs of preventive and corrective maintenance. Mineral turbine oils are used in lubrication, regulation and sealing systems of generator shafts, as well as in pumps and other auxiliary equipment. The process of turbine oil purification involves production of the basic component by distilling crude oil from various locations with subsequent removal of asphalts and tar, solid paraffins, some sulfuric and other undesirable compounds by purification with selective solvents and hydrotreatment. The final stage of producing the refined basic component with a certain viscosity and flashpoint involves introduction of additives to bring the specifications of the oil to commercial product standards. There is a range of requirements to turbine oil. For one, the oil can only be used after authorization from the chemical lab. Before the oil system is filled, the oil must be sampled for acid number, impurities, sludge and water. The acid number must be within specification, while particulate matter, sludge and water must be absent altogether. In practice, purity of the turbine oil must be at least 11. If water is found in the oil, or the purity class is 12 or worse, the product must be purified. 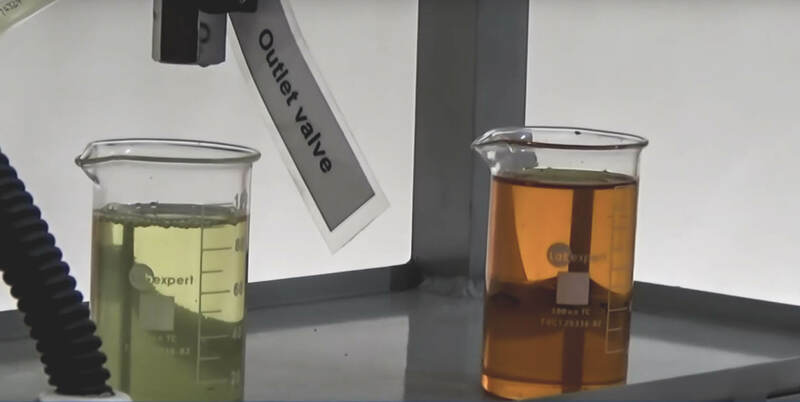 Mineral turbine oil control is performed by sampling the oil from sampling points. The oil is checked visually daily; a periodic analysis of the oil’s quality is also required. If visual inspection detects particulate matter, water or sludge in the oil, an analysis must be performed immediately. Among the possible investment in resource recycling, turbine oil filtration is one of the most lucrative. There are various methods of regeneration and filtration, which belong to one of the three larger groups: physical, chemical and chemical-physical. Physical methods allow to remove solid contaminants, such as particles of tar and coke in the oil. Gravity settling, centrifuges, electrical, magnetic and vibration devices are often supplemented by various filtration processes, dehydration and degassing in vacuum. The simplest technique is settling and separation of water and solid particles by gravity. The process is simple, but has significant limitations. Its long duration and the ability to only remove larger particles limits its use to pre-treatment only. Filtration allows to remove tar and solid particles from the oil. The process is divided into coarse and fine filtration. Felt, fabric, paper, metal or plastic mesh and ceramics (and their combinations) are used to improve the efficiency of filtration. There are other methods of purification, such as centrifuges to remove water and other impurities. But the most common technique is to combine oil regeneration with several methods of oil filtration and purification. Adsorption and selective solution in a system complete with degassing, drying and filtration sections allows to filter industrial oil and purity it, fully restoring its performance in one processing pass. None of the methods can separately ensure the required quality of turbine oil; besides, they all require stopping the equipment for the duration of oil processing. Turbine oil filtration allows to use the same oil for many years. Considering the amount of turbine oils, this can save tremendous amounts of money spent on buying new oil. 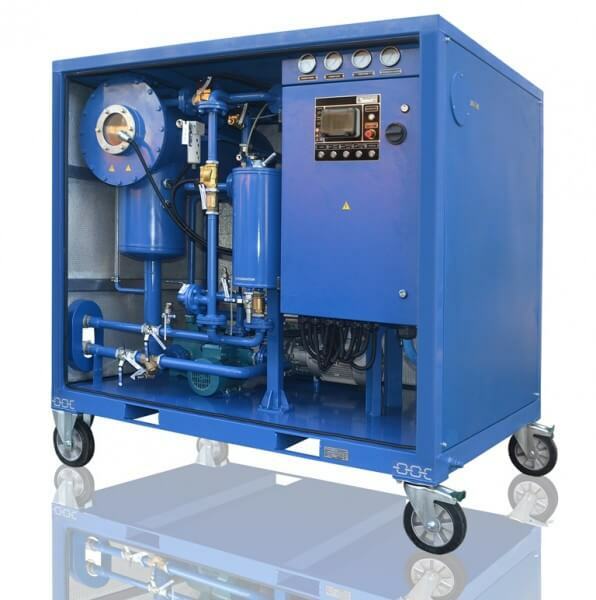 СММ-4Т unit Comprehensive turbine oil filtration and regeneration systems are easy to operate and service. With the high processing rate, the unit pays for itself quickly, making it not only an affordable, but also indispensable addition for any industrial or power generation facility. GlobeCore manufactures and supplies turbine oil purification equipment. The CMM-MT units are capable to remove water, gas and particles from turbine oil. The purity required to continue using the oil is achieved by using both classic and novel techniques. 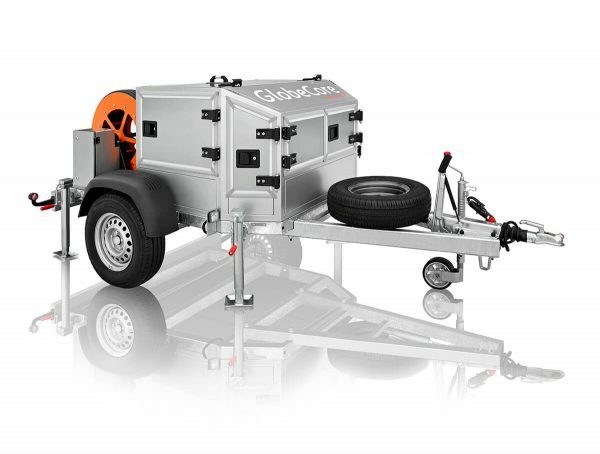 GlobeCore equipment means economy, reliability and long life of turbine equipment.